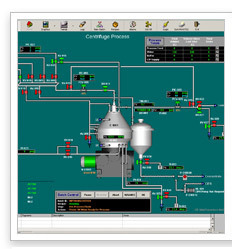 While process equipment and instrumentation on plant floors have experienced significant changes over the last two decades, software components have undergone an even larger evolution. Automation has evolved from a simple black-and-white trade to a highly integrated technology in the 21st century, inextricably tied into a business' overall information infrastructure. This evolution requires a collaboration of information systems, development, manufacturing, quality, engineering and executive management. At Cascade, our experience and expertise in design and implementation of batch automation processes is unmatched having implemented batch solutions since before the S88 standard was even formalized. Our engineering and development team has participated in the World Batch Forum since its inception and followed the progression of the original batch source code to its current product versions, including RSBatch™ and DeltaV™ Batch. We understand that technology is an integral part of the quality we deliver. We leverage technologies such as XML and .NET to deliver consistent project design, implementation, and validation documentation with a degree of efficiency that cannot be duplicated by other means. These and other technologies are the vehicles through which automation and information management systems are integrated to meet the needs of our customers and their personnel.